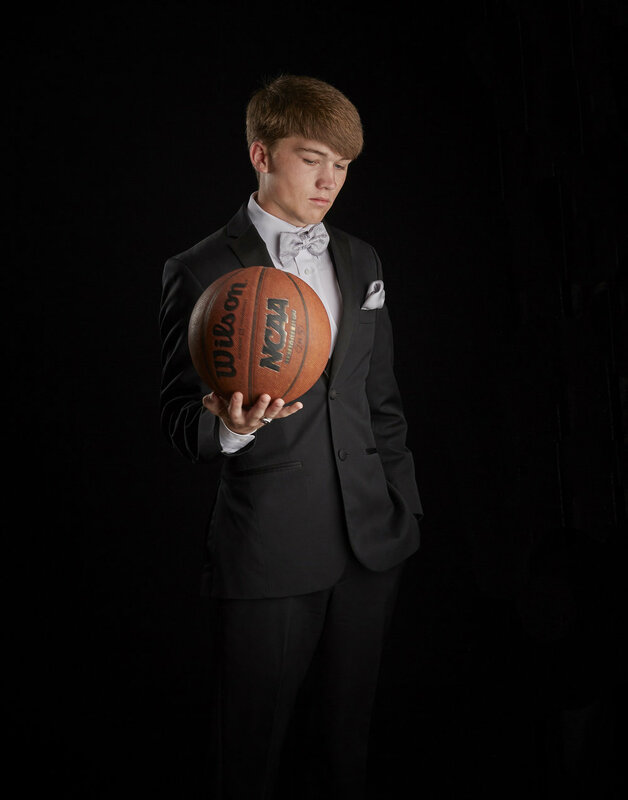 How to make your senior portrait session the best. 1. Where do you start? If you would like, come and visit the studio, and share your ideas. We would love to talk to you about your senior portraits. They are one of the most important events of your senior year, and you want them to be perfect. We can help! 2. What to wear? This is the fun part. Pick outfits that showcase who you are. Go shopping! We will send you a clothing suggestion card when you book your appointment with us. 3. Who to bring? One or two people ONLY. We want to concentrate on you and getting you the best possible images. Too many people in the studio will distract from that goal. Most seniors bring their mom or dad, many come alone. Please leave boyfriends and girlfreinds at home. If you want images together, schedule a friends session at a later time. 4. What props to bring? Less is more! Don't try to bring everything. Bring the items that mean the most to you. A special trophy, a meaningful jersey, or a favorite item that showcases who you are. 5. What about pets? Pets are welcome to join you if you purchase the "Fuzzy friends" add-on. We ask that they stay outdoors and you bring someone along to 'babysit' the pet while we focus on you. Cats and small dogs are welcomed in the studio in a pet carrier. 6. Can I bring my car? Absolutely! Make sure it is clean from dirt. Dirt and dust on the vehicle will show up in the image. 7. How early should I arrive? 10 minutes is early enough. This will give you time to check in and relax a moment before we get started. DO NOT BE LATE! If you are 10-15 minutes late, we may have to reschedule part of your session. 8. What about rain? Don't cancel! We have tons of variety indoors. We will talk to you about outdoor options when you arrive. 9. YIKES! I have a blemish! It's OK! We will take care of retouching and make sure you look unbelievable in your finished images. 10. I have ideas. GREAT! We would love to hear them. Please do not bring a list of what your firends did for their senior portraits. We will not do it. We treat everyone as an individual. We want to hear your ideas about your session, but we won't copy what someone else had. This session is about YOU. We want to make your images show who you are.